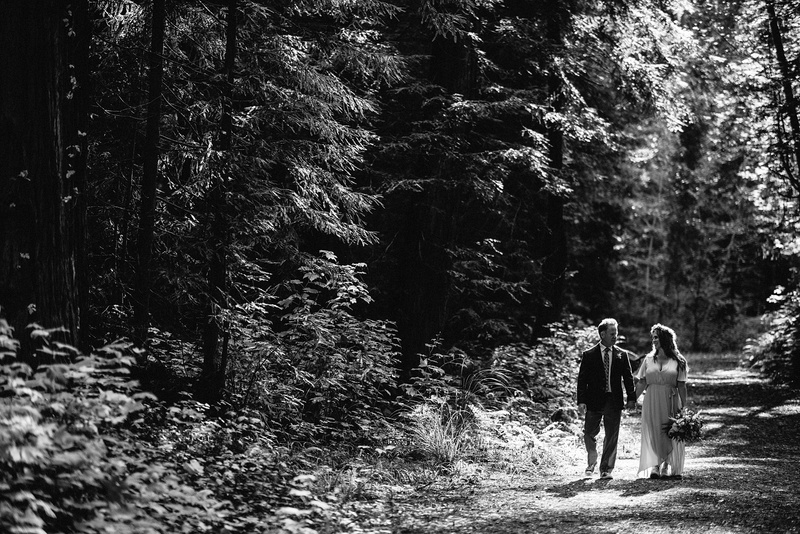 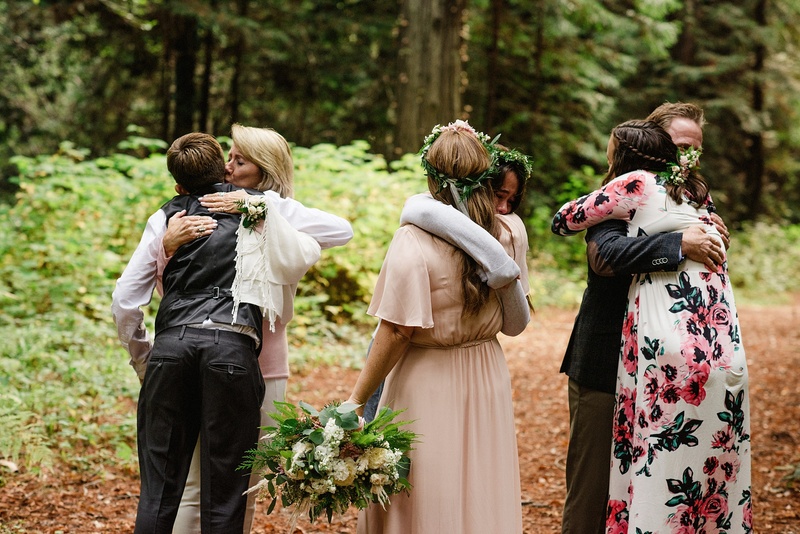 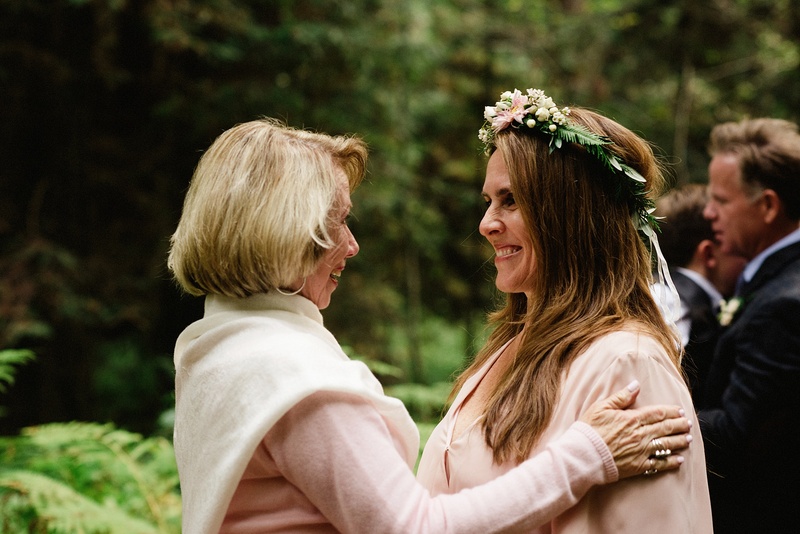 I will never grow tired of intimate weddings in the woods. 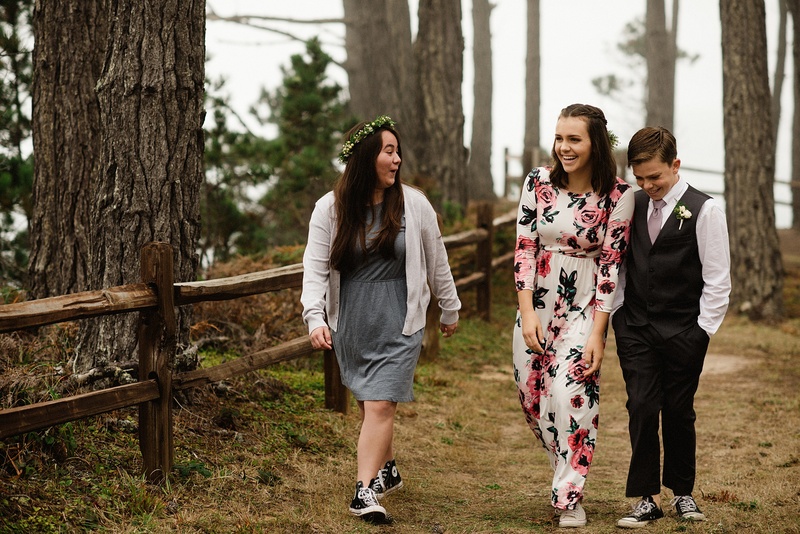 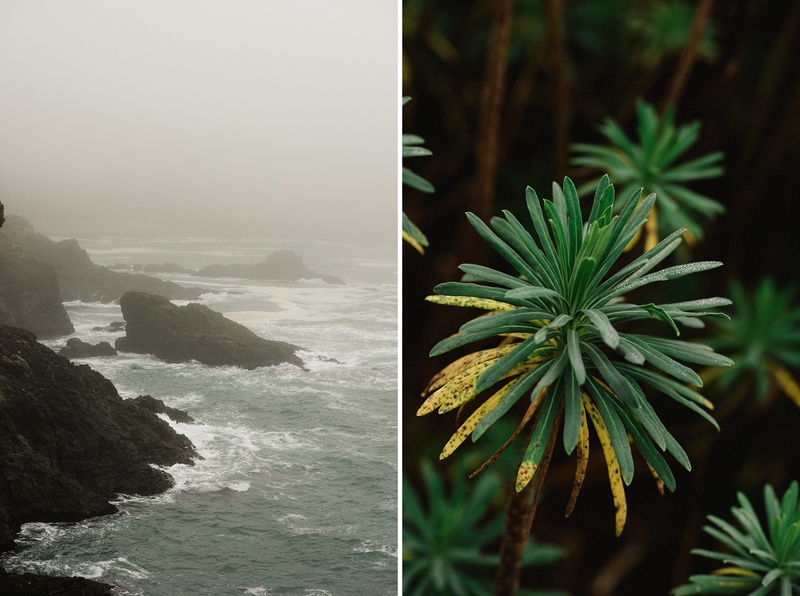 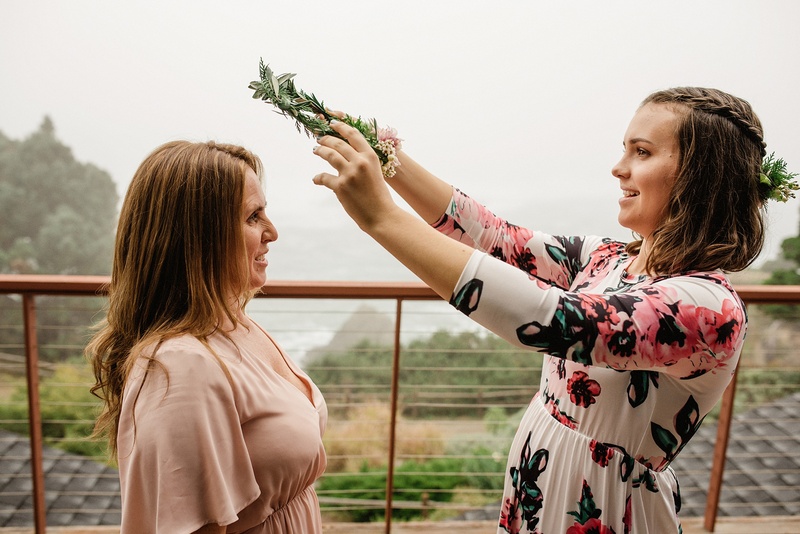 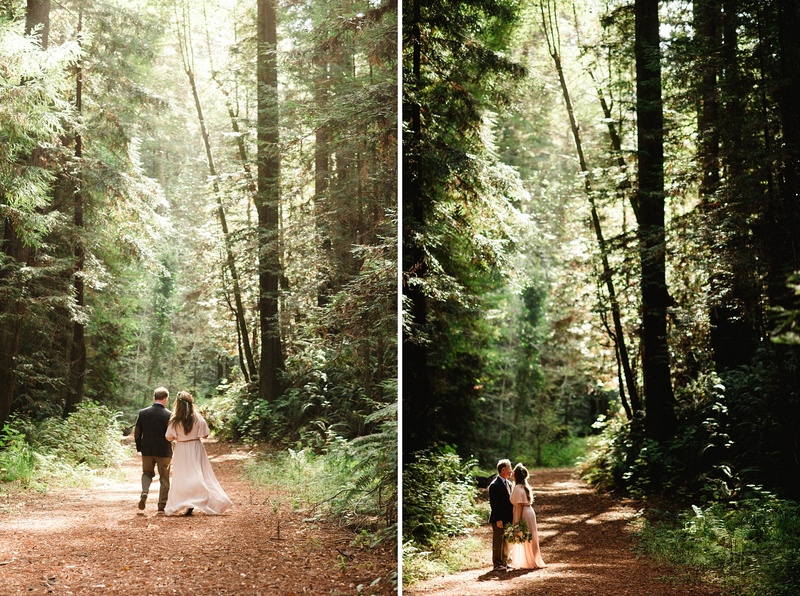 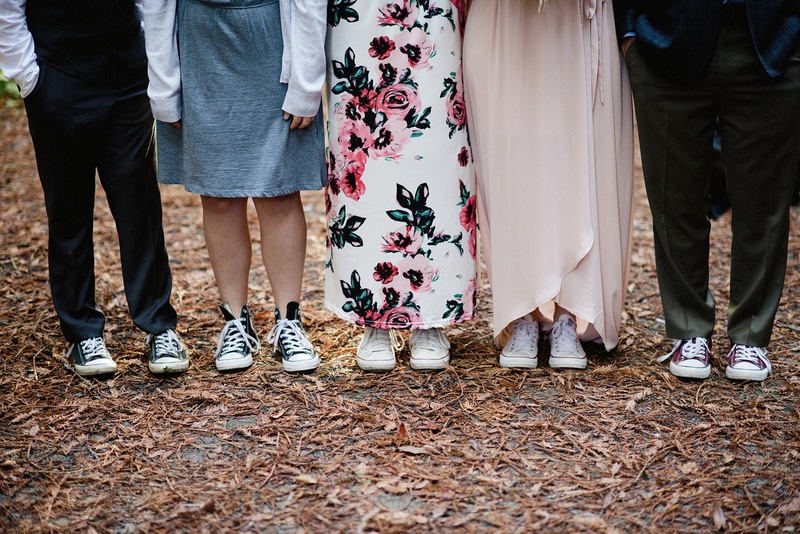 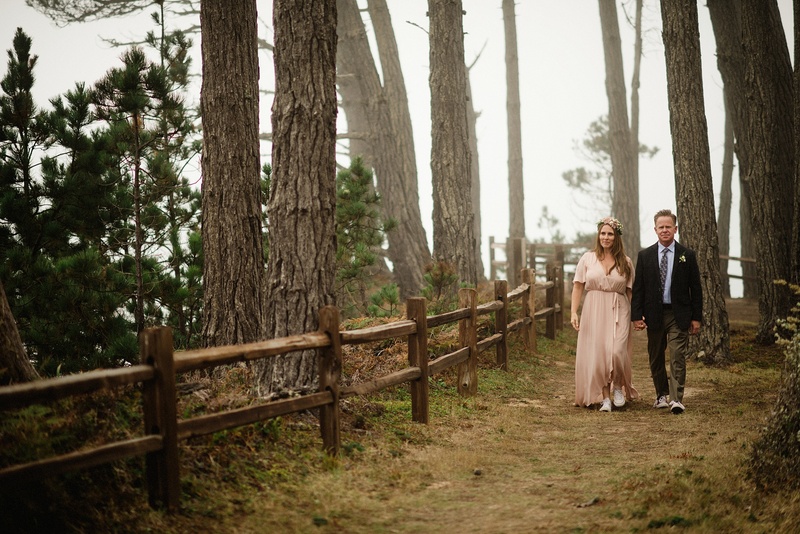 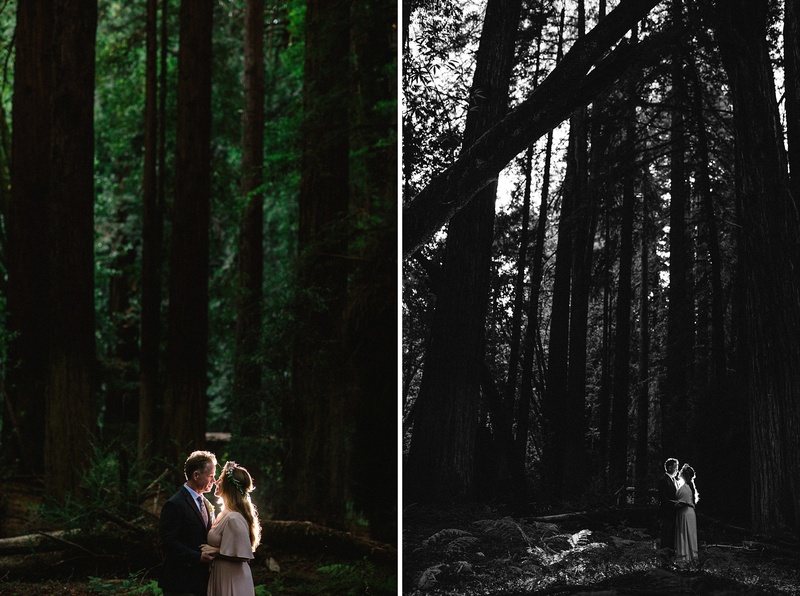 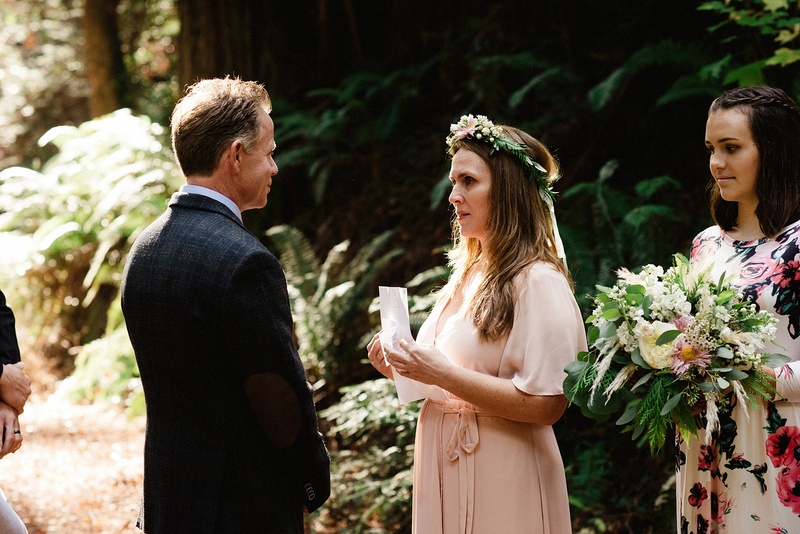 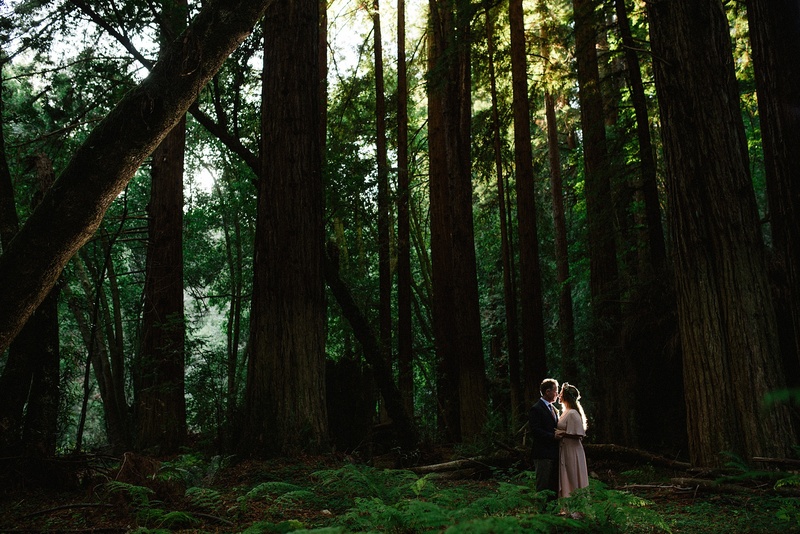 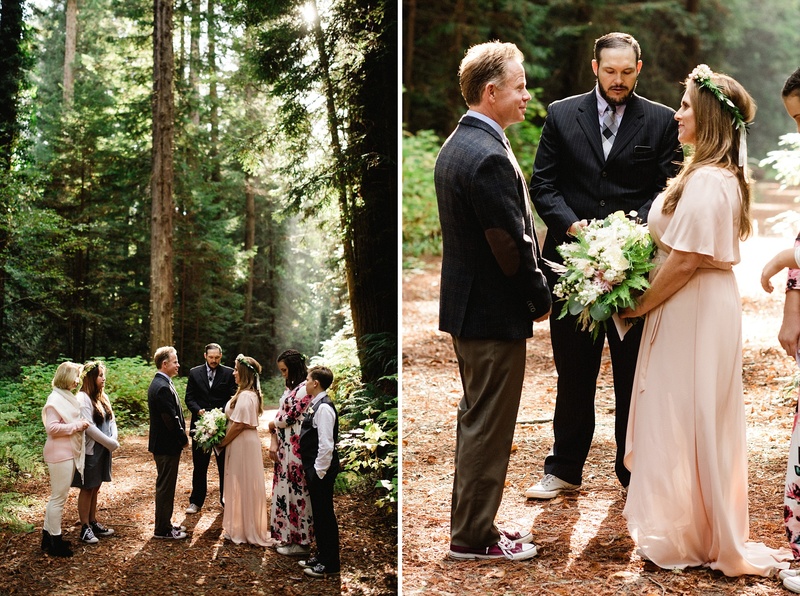 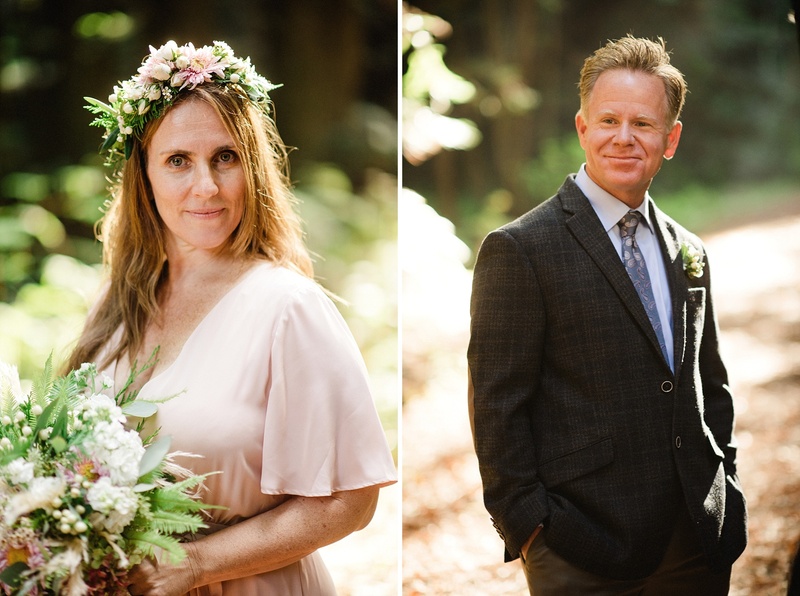 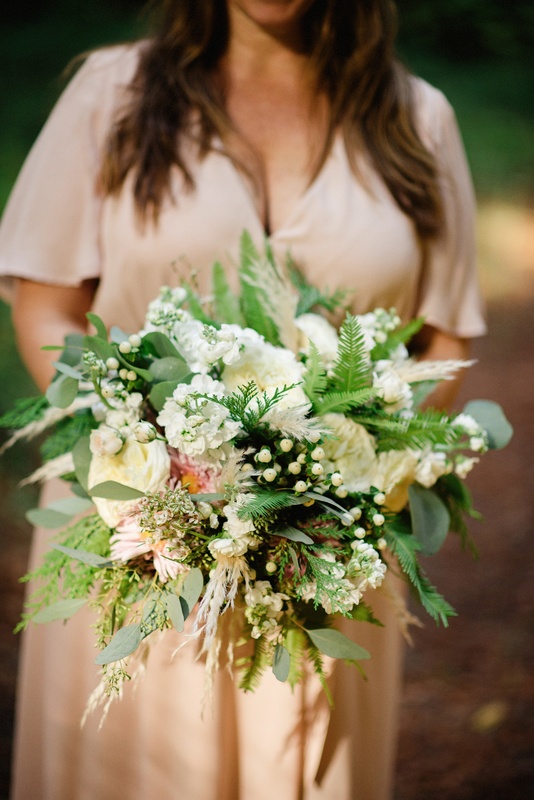 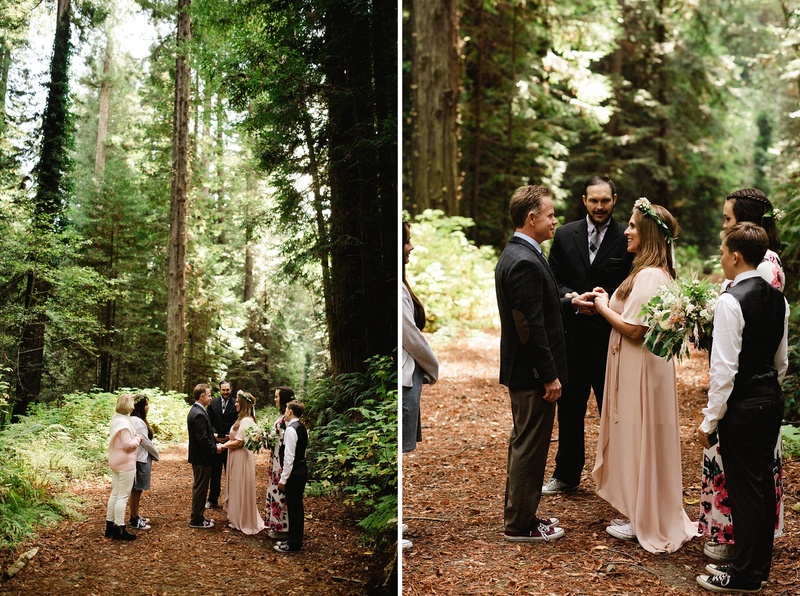 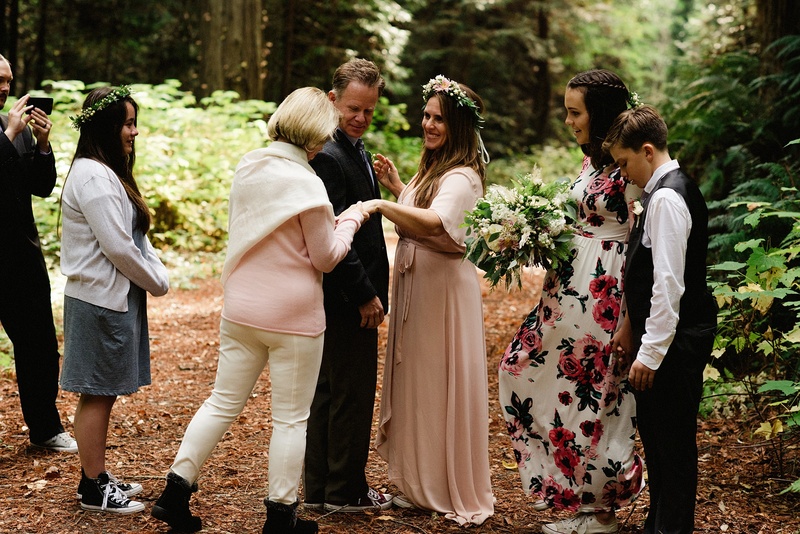 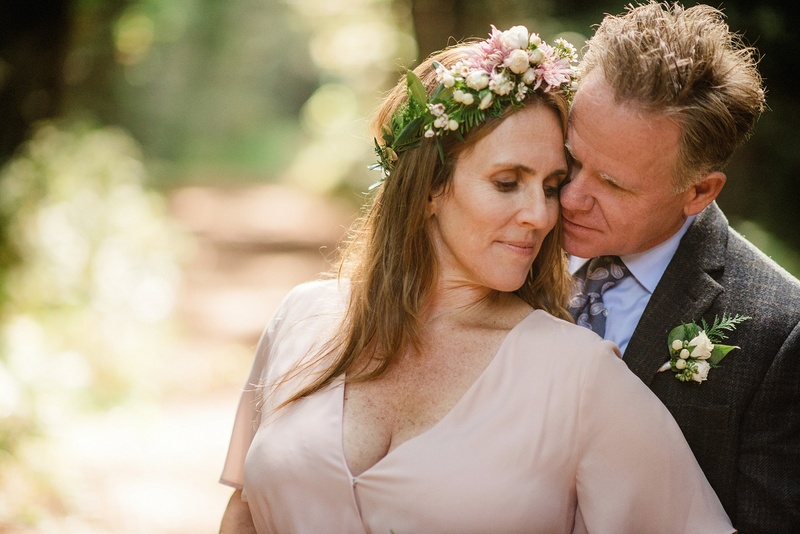 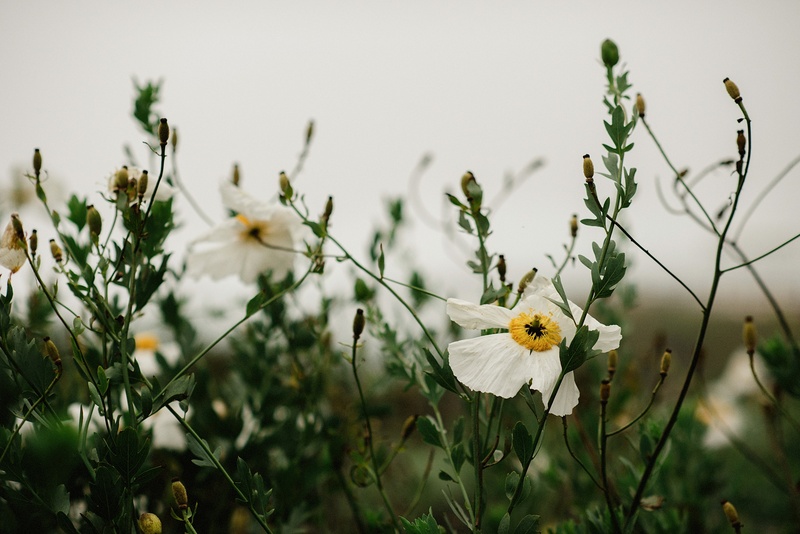 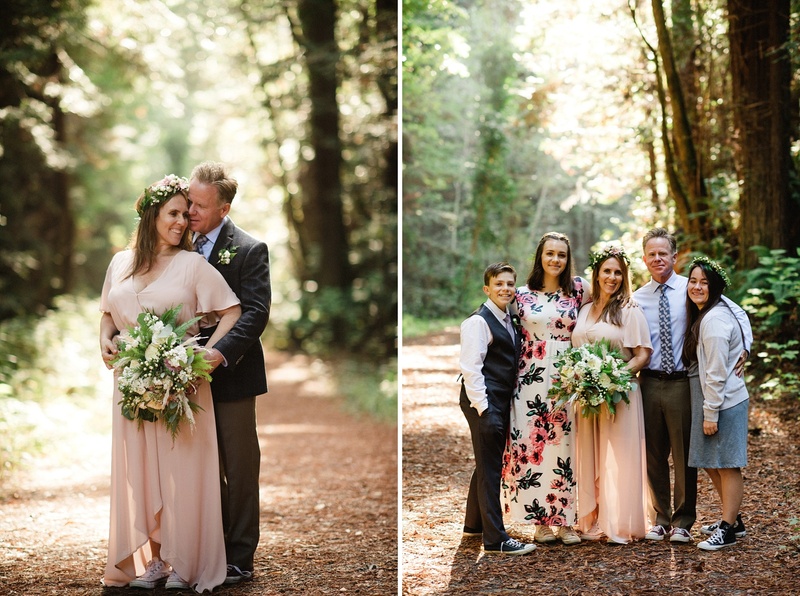 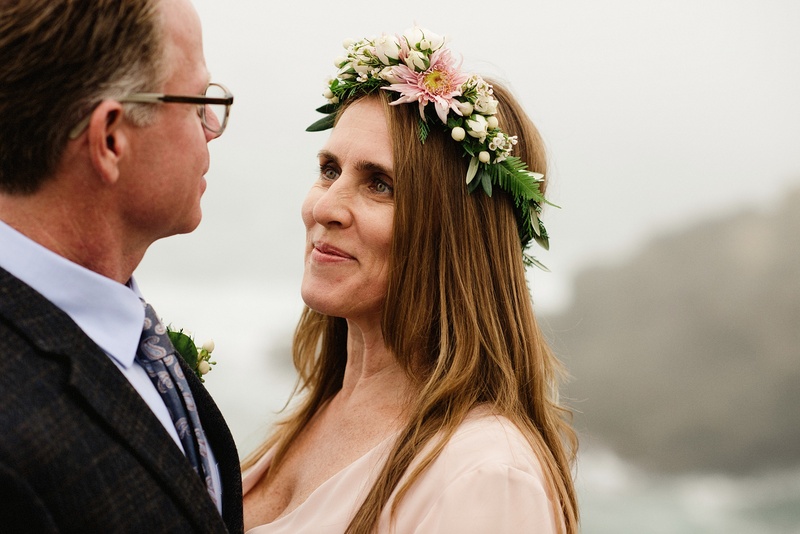 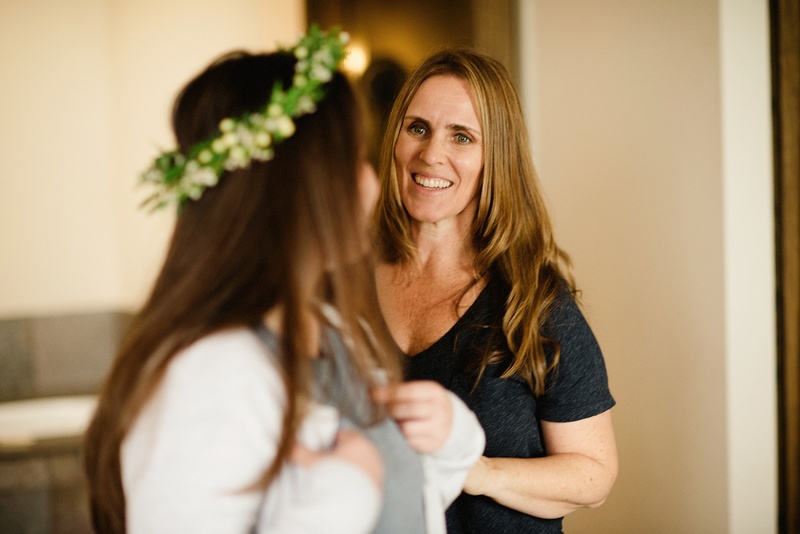 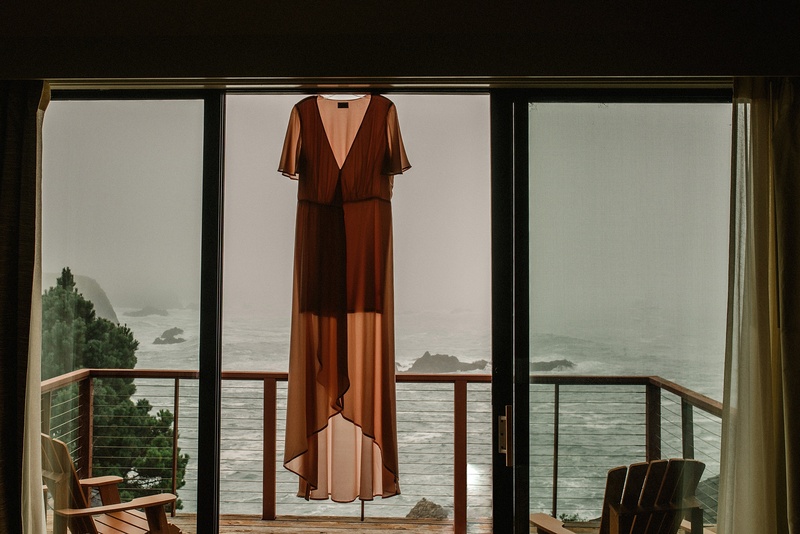 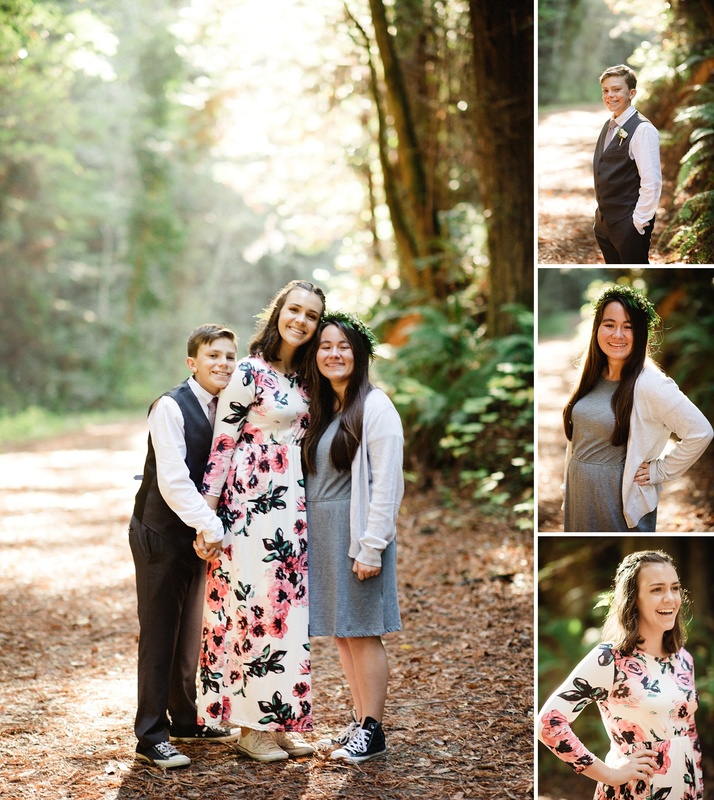 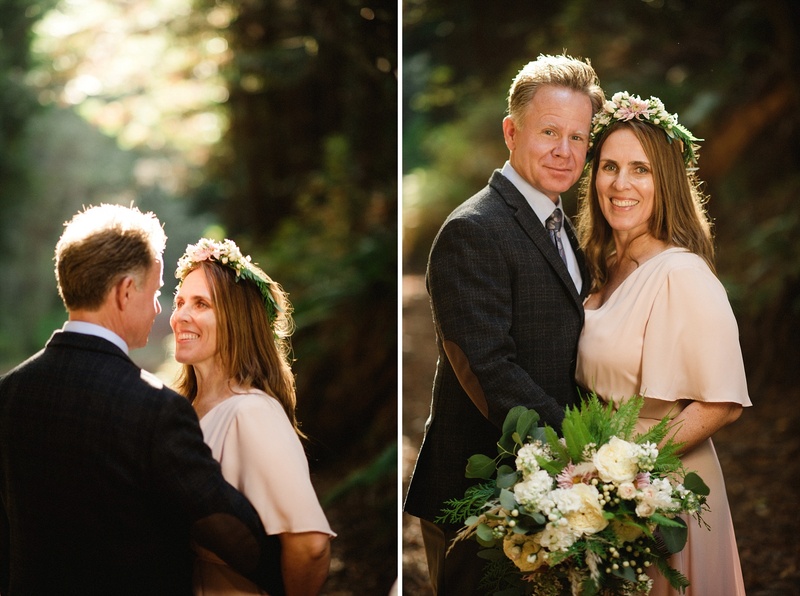 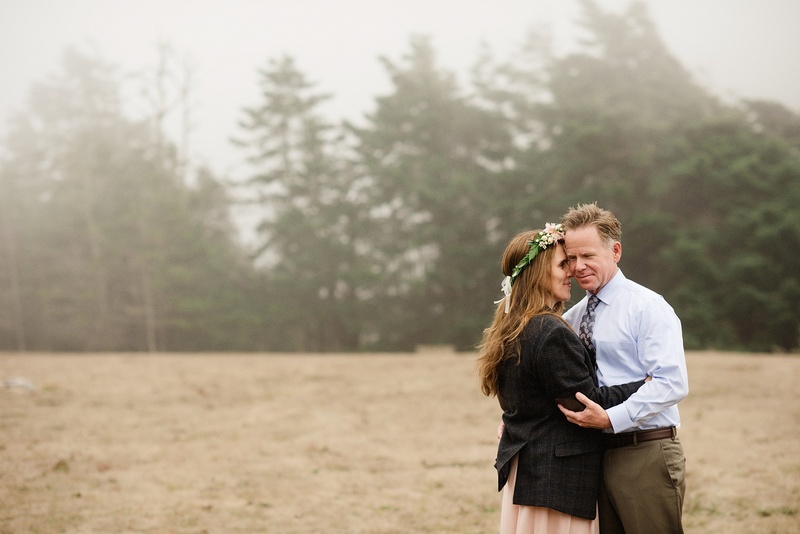 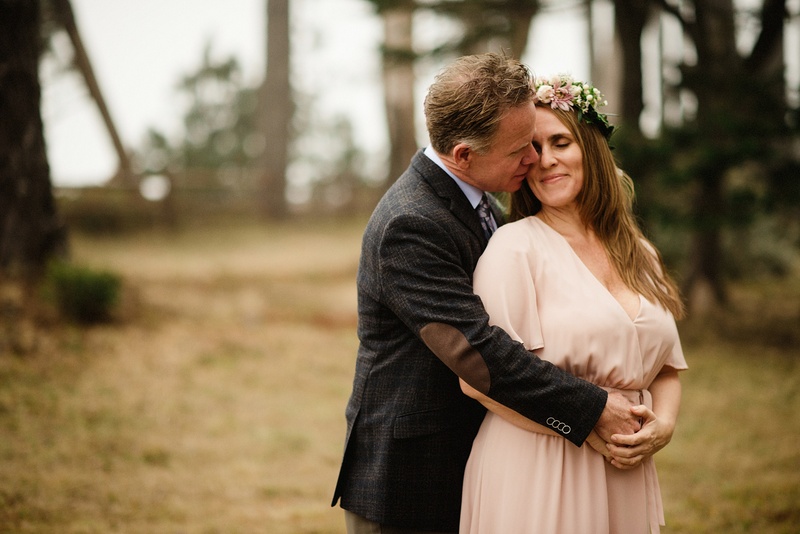 Being a California redwoods elopement photographer brings me joy without measure. 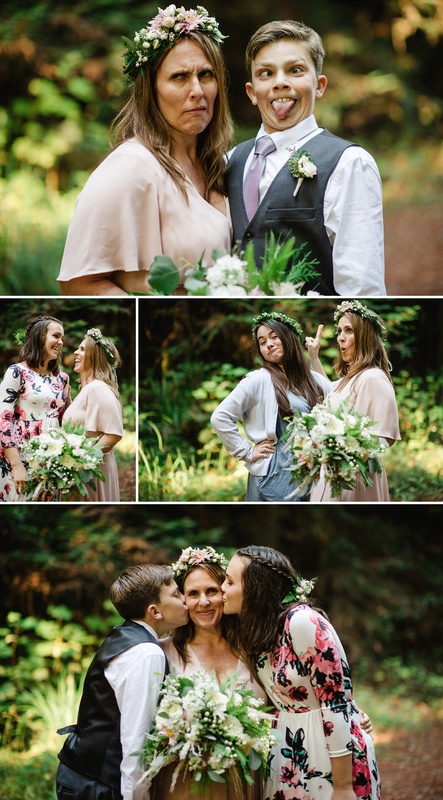 These weddings always turn out to be the weddings I’ve dreamed of. 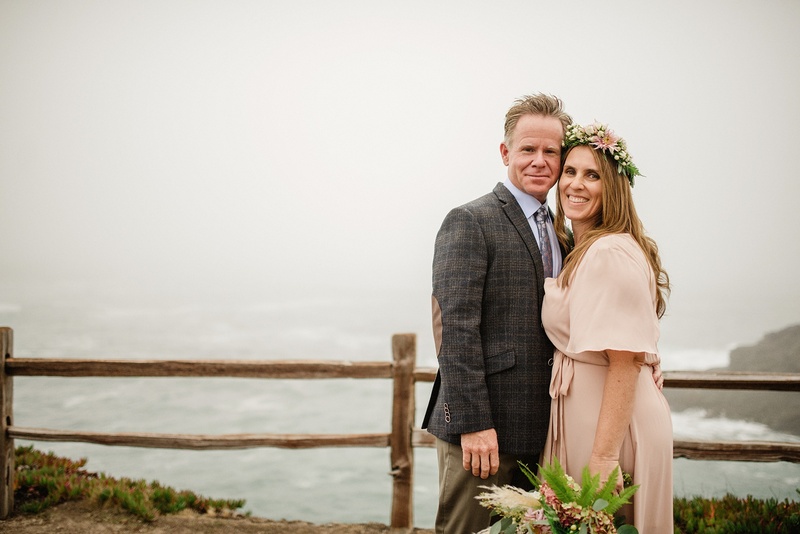 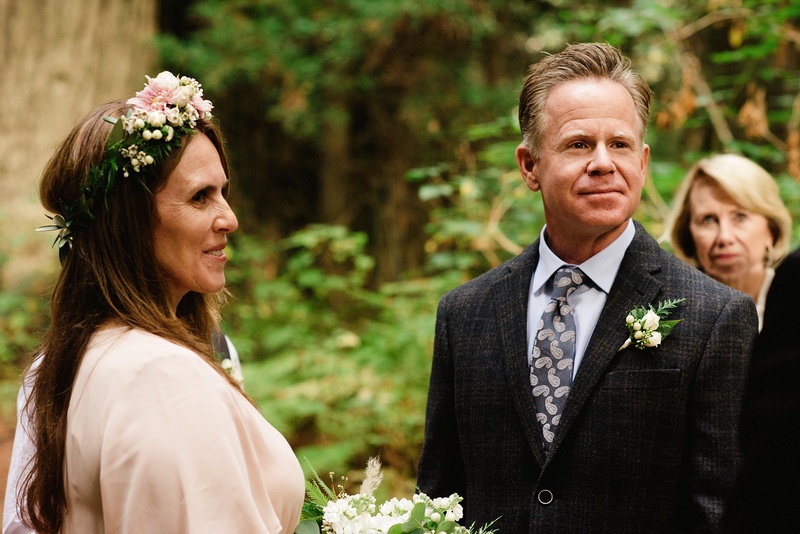 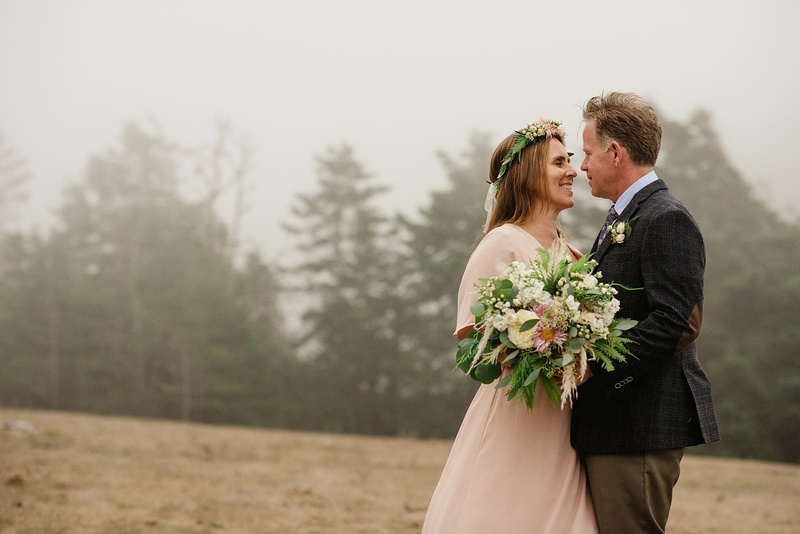 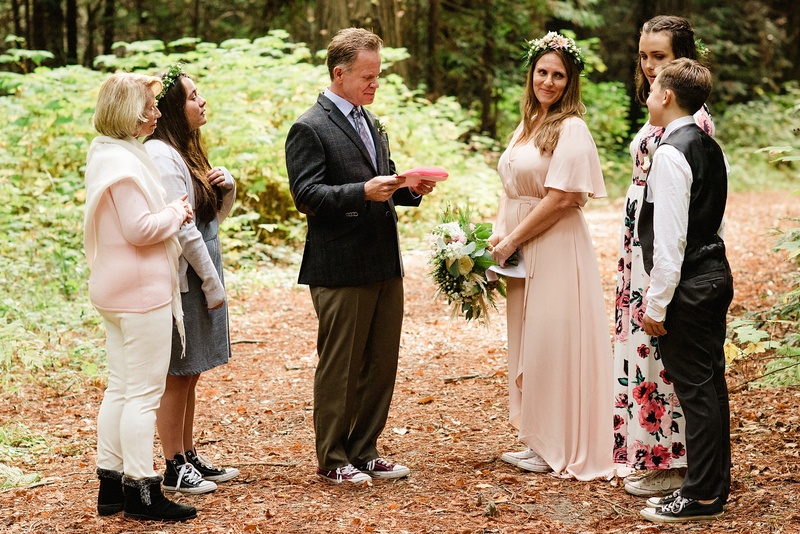 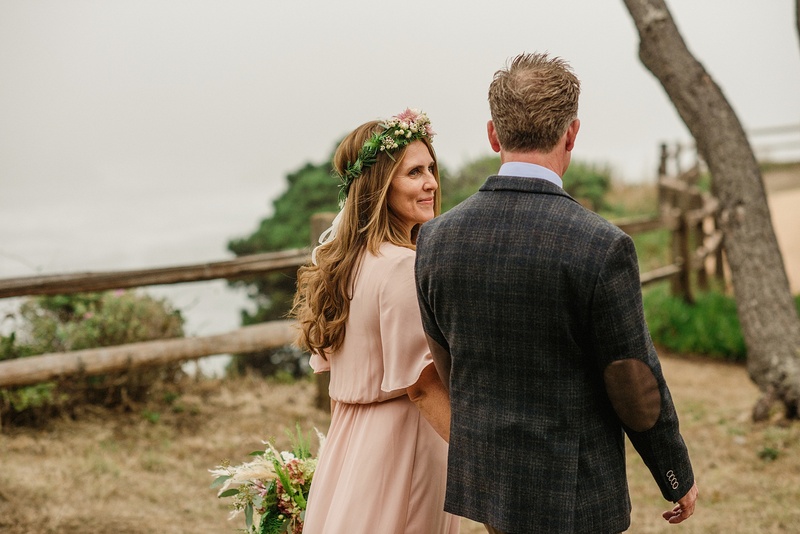 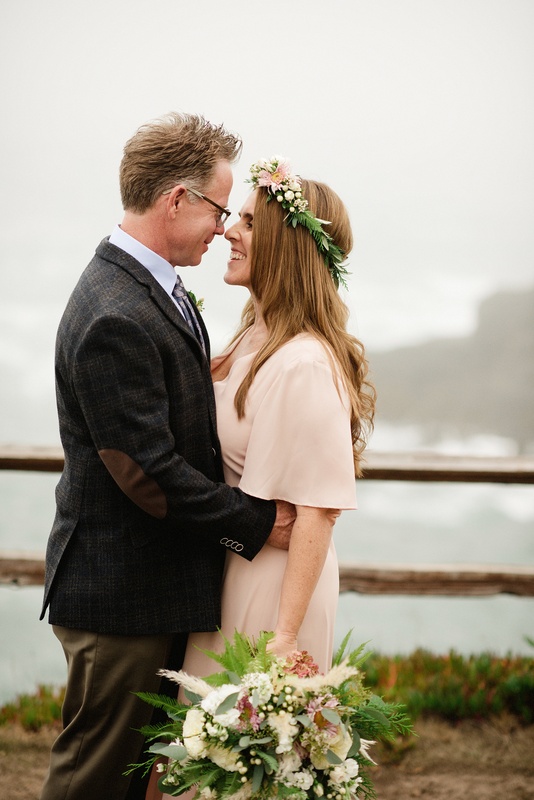 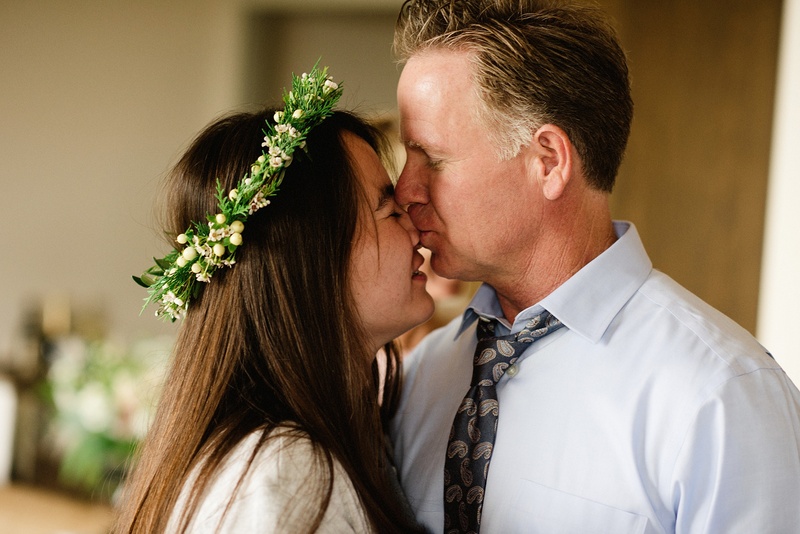 I was living a very happy dream when it came to Allie and John’s perfect wedding last fall. 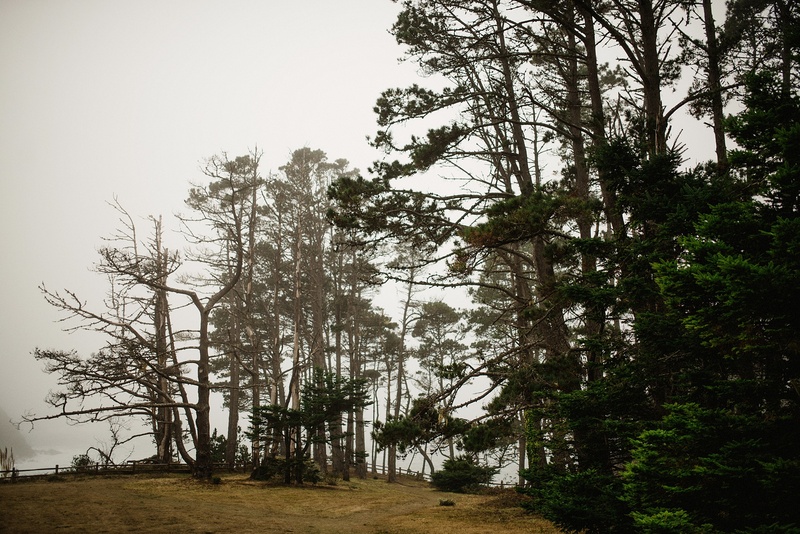 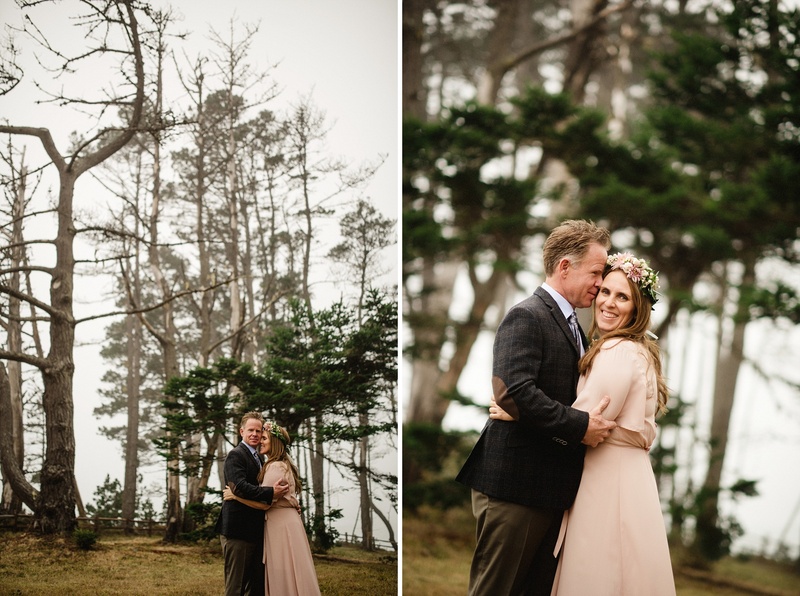 The day was beautiful – a mix of fog on the ocean and sun in the trees that gave me the best of both of my favorite types of weather. 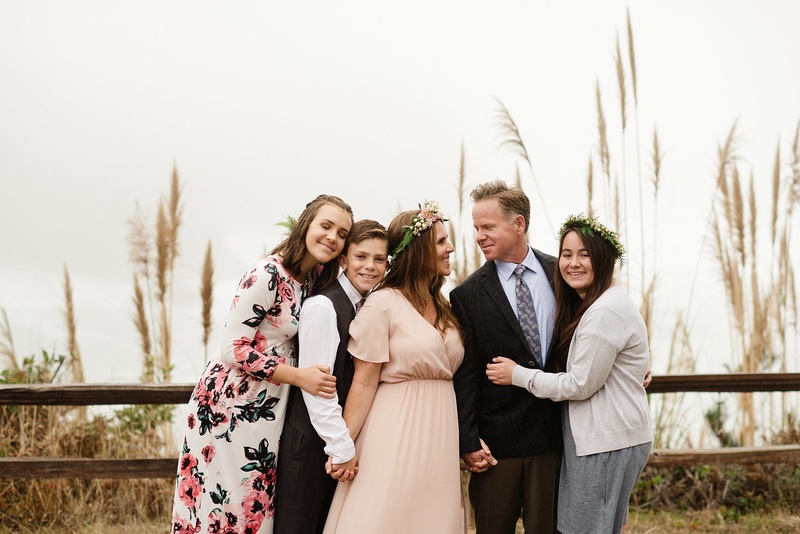 Better than any weather though, was this family that was coming together to be united as one. 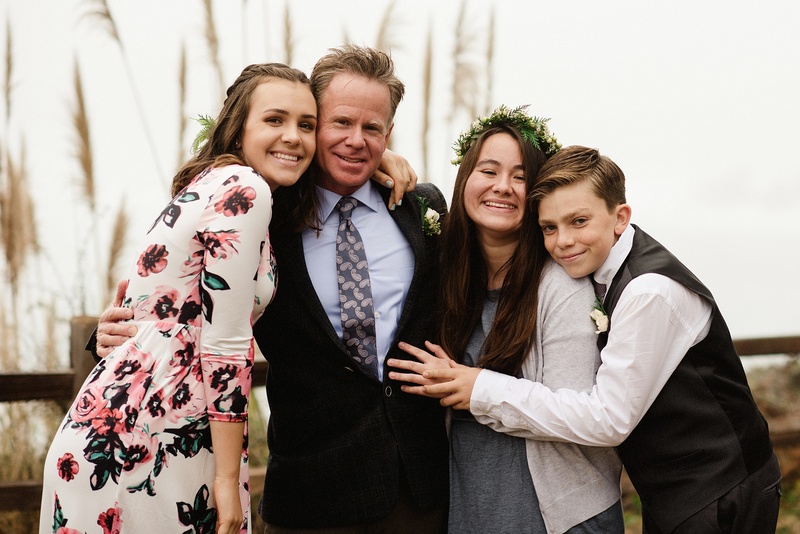 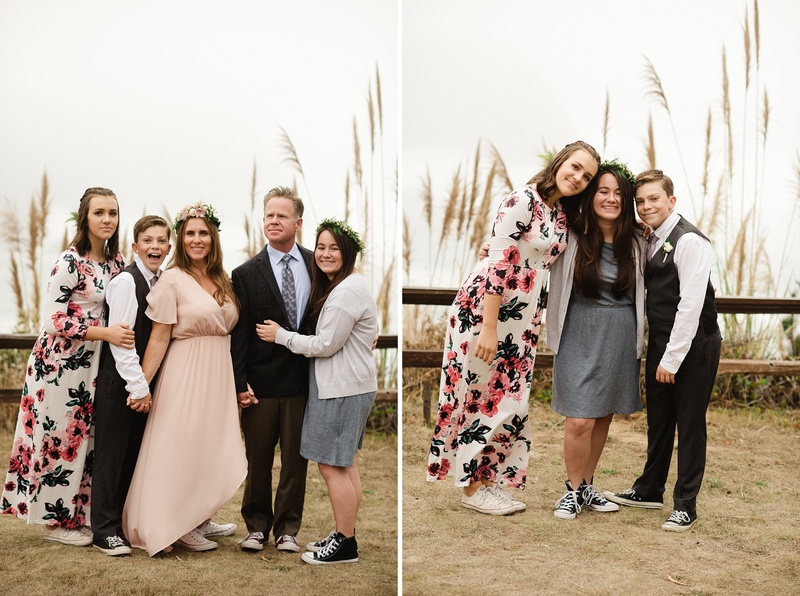 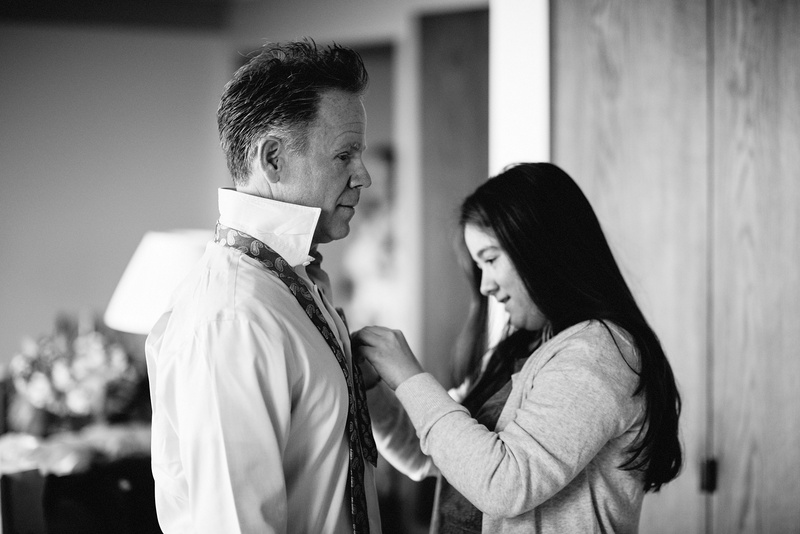 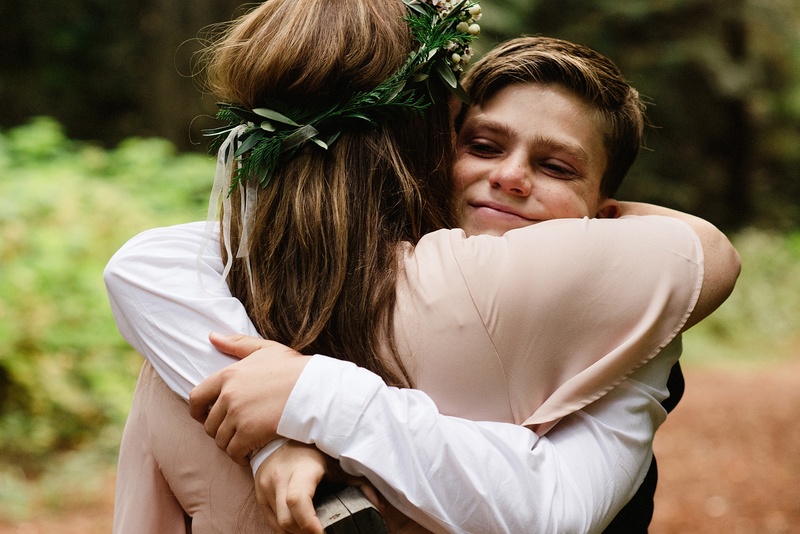 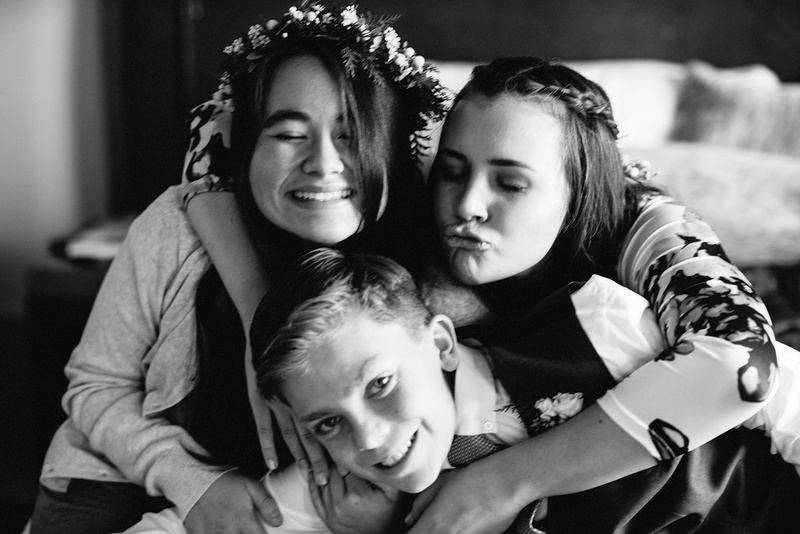 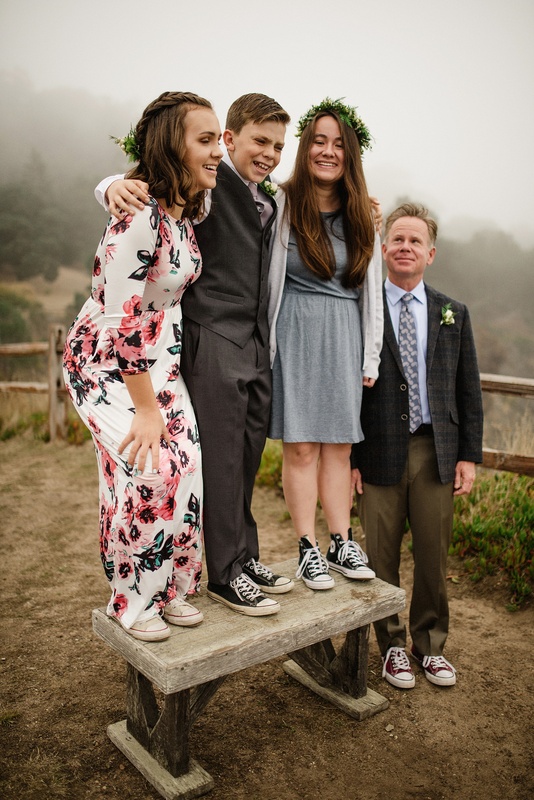 Allie and John shared their wedding day with their children and John’s mother. 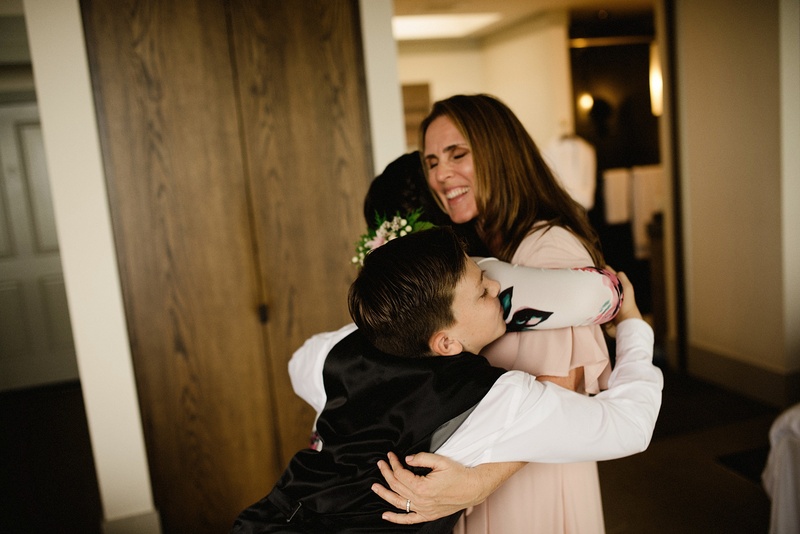 There was so much love and excitement floating around. 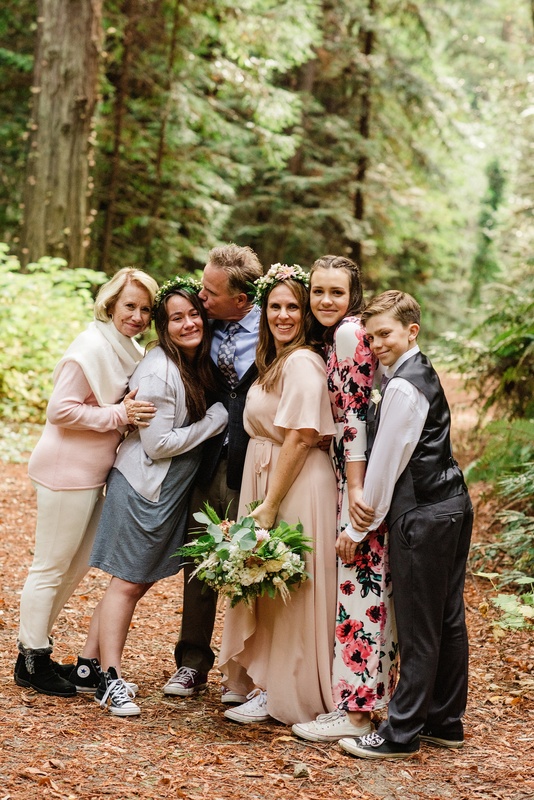 I feel deeply in love with this family instantly. 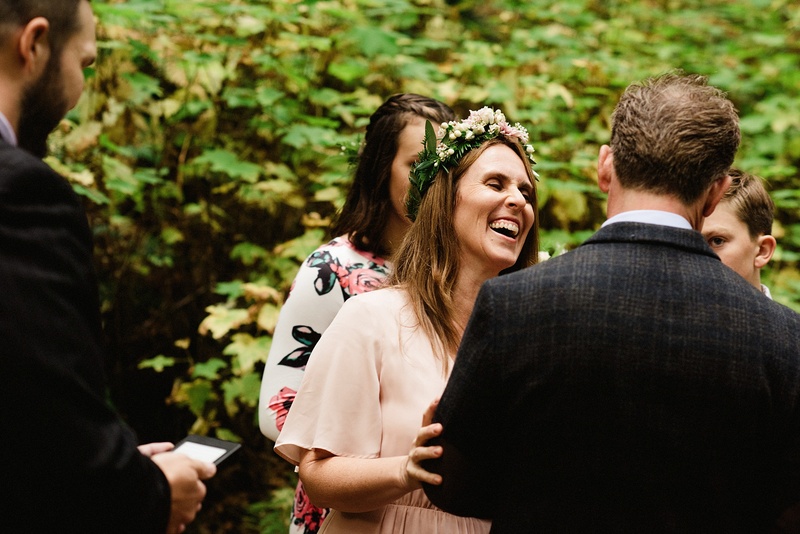 Their wedding day was our first in person meeting, but I felt like I’d known them for years. 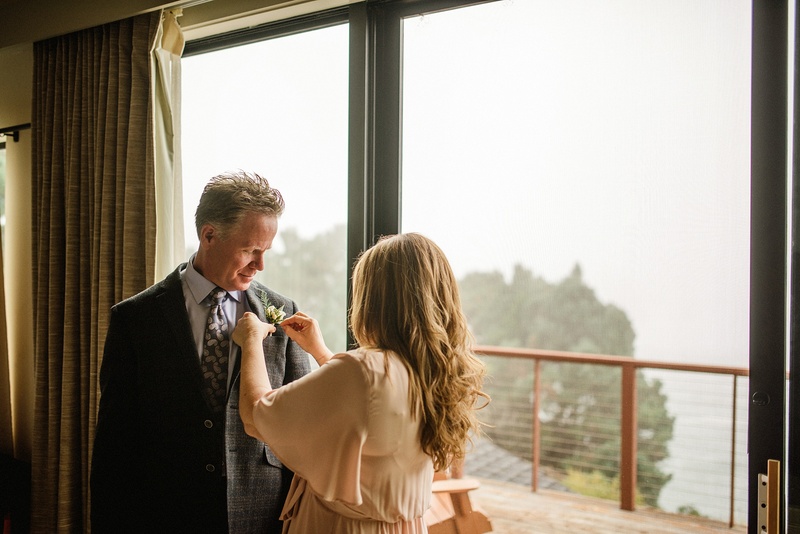 The love Allie and John have for each other is tangible – something so real and present you can reach out and touch it. 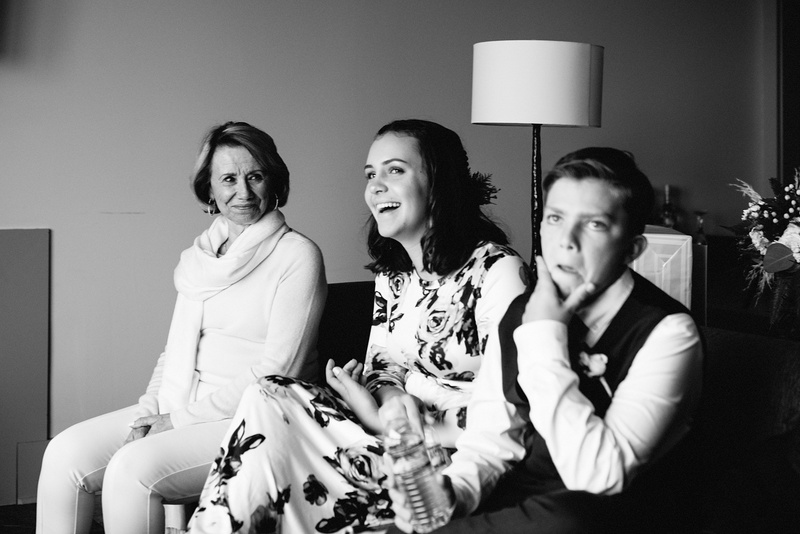 The way they love their children is equally as beautiful. 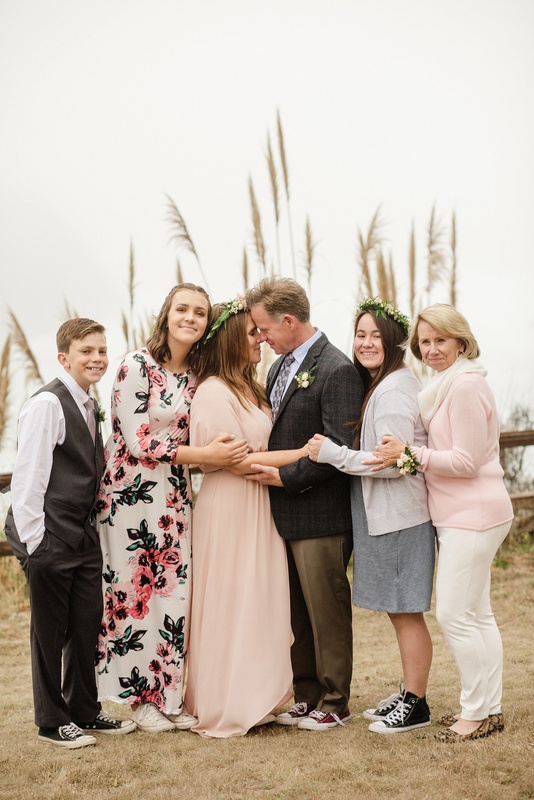 Seeing this family come together and become one was magic. 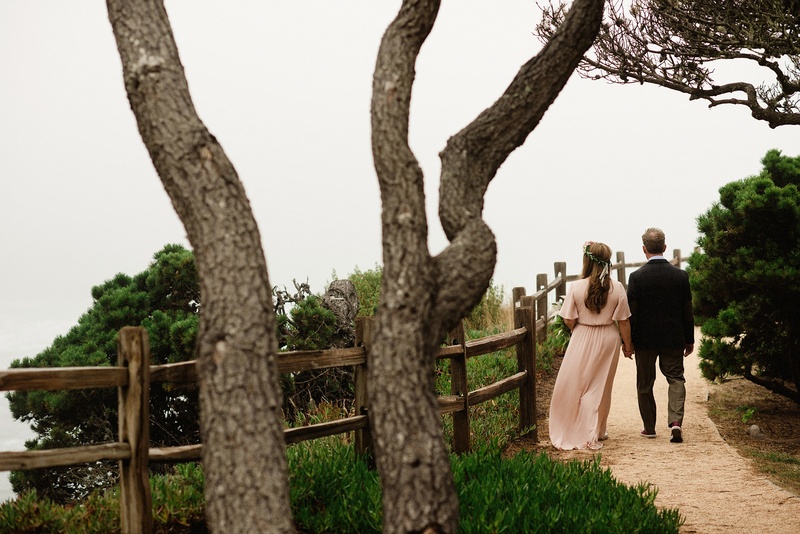 The roads they have walked to get here have been difficult – but the sweet reward of a love this beautiful made each step to get here worth it. 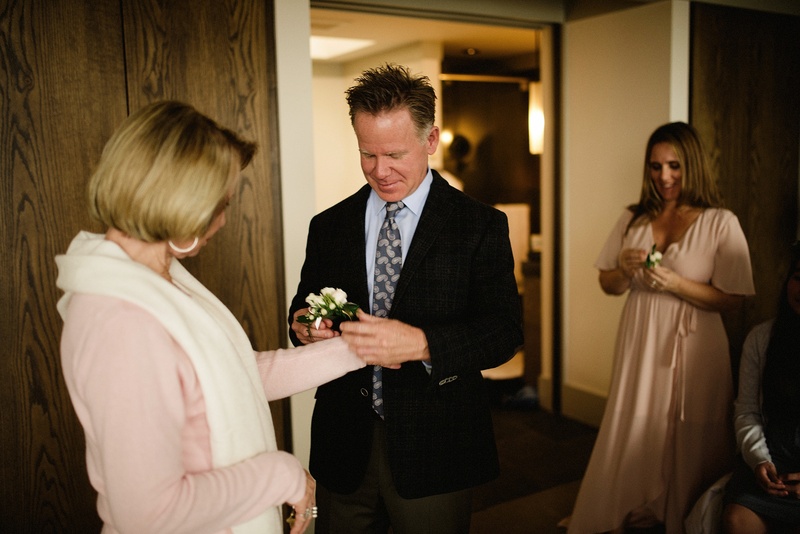 I was very happy to have my sweet husband there as well to act as their wedding officiant. 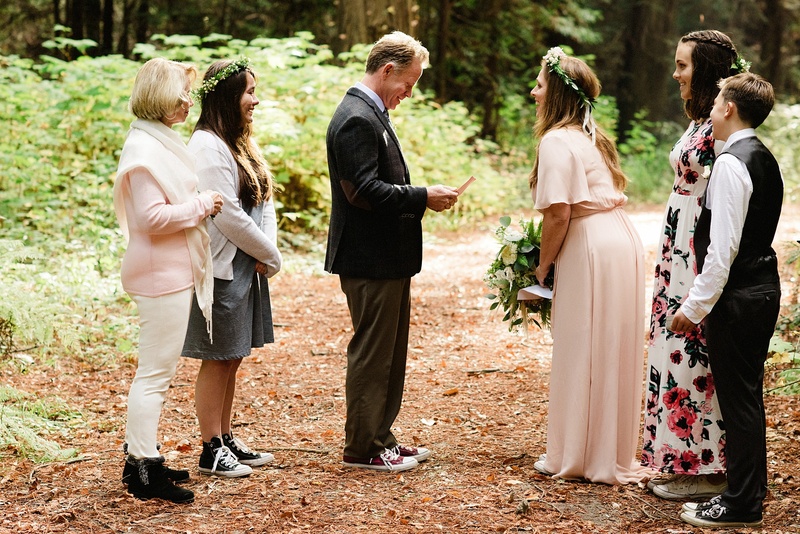 Dustin takes his job as a wedding officiant so seriously and uses such care as he prepares for bonding a couple together. 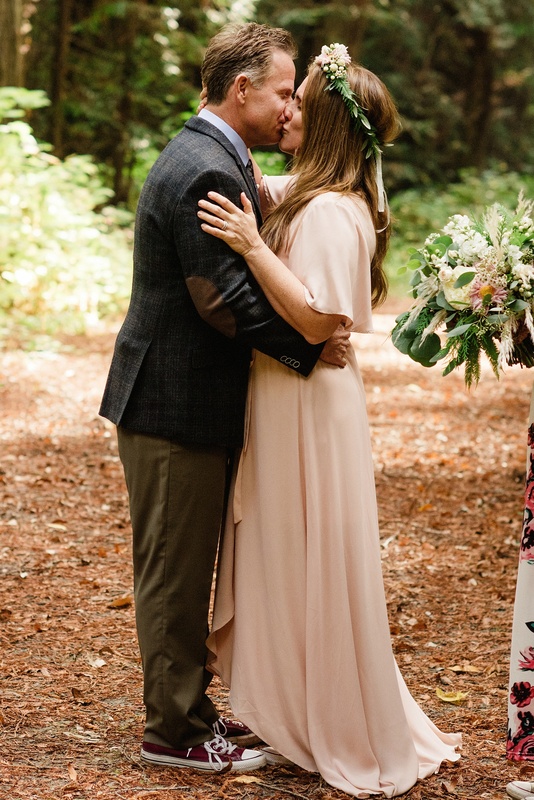 I love watching him set his heart to bring two people together. 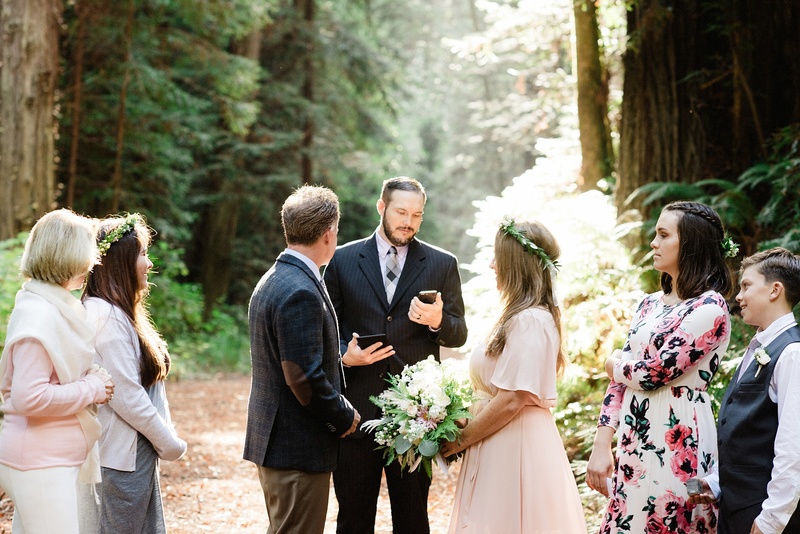 He has such intention and puts so much love into the job of officiating a wedding. 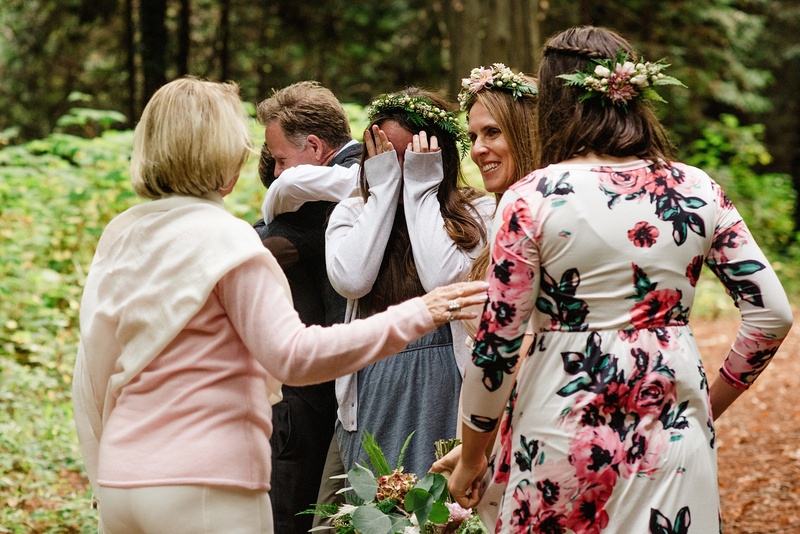 When we get the opportunity to be a part of weddings like this the gratitude with have is limitless. 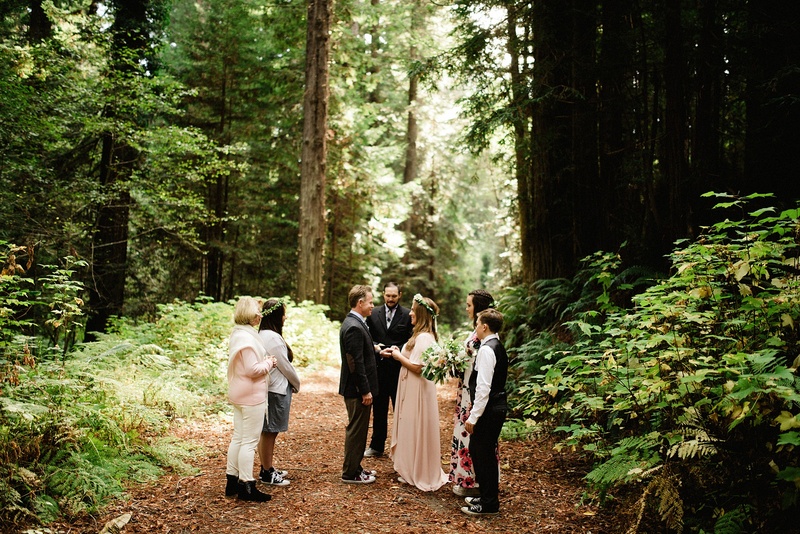 Allie and John thank you for having us be there to witness and officiate your wedding. 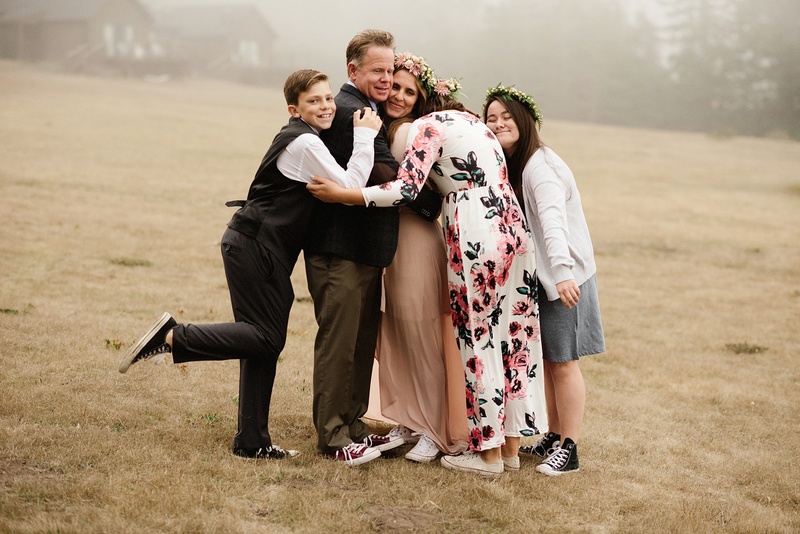 We love you and your beautiful family. 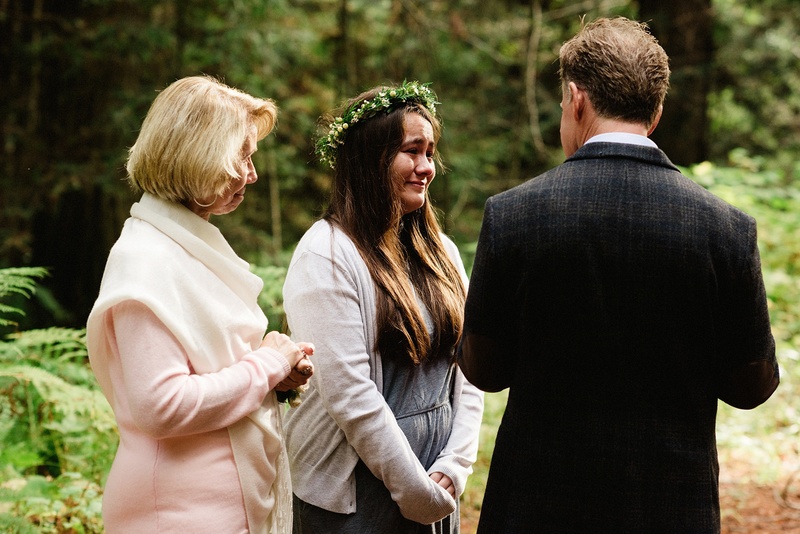 Thank you for letting us be part of your story.